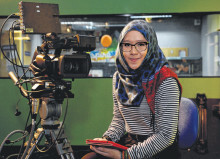 TO PREPARE for a career in communications, Ms Raihan Roslan, 23, pursued a bachelor’s degree in the liberal arts with a focus on mass communications. 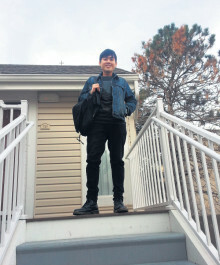 She studied at the Management Development Institute of Singapore (MDIS), which partnered the Oklahoma City University (OCU) in the United States to offer this degree. 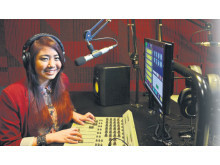 The programme has been running since 1992 at MDIS and is the first and most established American mass communications programme in Singapore. 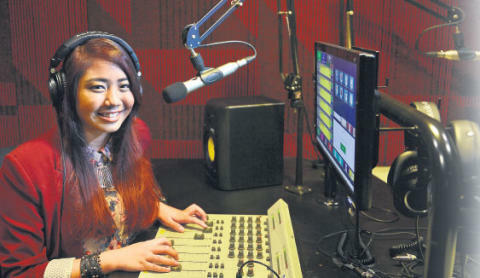 With modules covering broadcasting, journalism, advertising, public relations and scriptwriting, Ms Raihan received a comprehensive appreciation of the spectrum of work in mass communications. “I got a taste of everything, gained knowledge and first-hand experience in the different areas, and got to decide which area of communications I wanted to specialise and pursue a career in,” she says. Ms Raihan 18 months to complete the full-time course. The lectures and tutorials were fully taught by senior faculty from OCU. “My professors were experienced and knowledgeable in their areas of expertise, most of them being professionals in their respective lines,” she says. Through individual and group assignments, the students had the opportunity to put theory into practice. 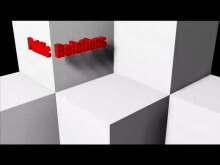 “We engaged in role-play learning, for instance, a media conference for the public relations module. We had excursions, travelling around Singapore to appreciate building designs for the architecture module,” she adds. The liberal arts programme exposed Ms Raihan to the many facets of the discipline through courses in politics, public policies, arts, American history and even music. The broad scope of a liberal arts education helped her build a strong foundation to understand today’s constantly changing society, so that she could in future function professionally to interpret these changes for her readers, viewers or clients. 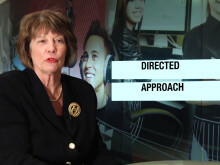 Her favourite module was media production, where she experienced first-hand the stress and fun behind producing a live recording of a television talkshow. As part of her degree programme, Ms Raihan spent three weeks at the OCU campus in Oklahoma, United States, living the “great American college experience” while broadening her cultural perspectives. Time management was another important life skill she picked up. “There is only so much time you have in the class with the professors so a lot of self-discipline and focus are needed for our own readings to keep up with the class,” she says. She benefited from the strong teacher-student mentoring. Her professors made the effort to meet the students outside lesson-time for consultations. They also gave their personal e-mail addresses to the students in case they needed further clarifications. Within a month after graduating, Ms Raihan secured her current job as a marketing and communications executive at RHT Law Taylor Wessing, a global law firm based in Singapore. “My studies met my career needs by fully preparing me with the basic knowledge that I need as a marketing and communications executive. I have to deal with public relations, media, liaising and communicating, all which requires the concepts and knowledge I have gained in class,” says Ms Raihan. The cost of $28,000 for the entire programme was money well spent, according to Ms Raihan. “Furthering your education translates into improving yourself in terms of the knowledge you gain and the character and values you develop. Improving yourself holistically for the better is always worth the investment,” she says.